VJ Books Presents Author Matt Coyle! Matt Coyle grew up in La Jolla, California. As a child, he loved sports and reading. By the time he entered high school he had already decided he wanted to be a crime writer, having been inspired by Raymond Chandler's The Simple Art of Murder. He earned a bachelor's in English at the University of California, Santa Barbara, and has since worked selling golf clubs and sports collectibles, and managing restaurants. In his spare time, Coyle writes novels. 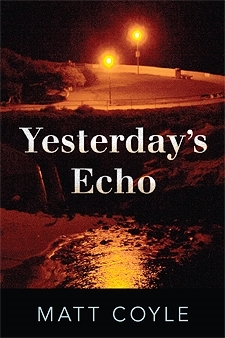 His first book, Yesterday's Echo, took 10 years to write, and when it was finally published it won the Anthony Award-Best First Novel, San Diego Book Award for Best Published Mystery, and the prestigious Benjamin Franklin Silver Award. 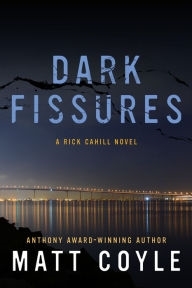 Yesterday's Echo has now grown into a series, following private investigator Rick Cahill. Coyle lives in San Diego with his dog. Author Signed Hardcover Book. December 2017 FL: Oceanview Publishing First edition, first printing, mint, new/unread in a flawless dust jacket, signed by the author. Each dust jacket is protected in an acid-free archival quality acetate cover. Author Signed Hardcover Book. December 2016 NY: Oceanview Publishing First edition, first printing, mint, new/unread in a flawless dust jacket, signed by the author. Each dust jacket is protected in an acid-free archival quality acetate cover. Author Signed Hardcover Book. 2015 NY: Oceanview Publishing First edition, first printing, mint, new/unread in a flawless dust jacket, signed by the author. Each dust jacket is protected in an acid-free archival quality acetate cover. Author Signed Hardcover Book. December 2018 NY: Oceanview Publishing First edition, first printing, mint, new/unread in a flawless dust jacket, signed by author. Each dust jacket is protected in an acid-free archival quality acetate cover. 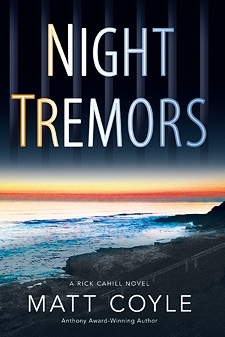 Author Signed Hardcover Book. 2013 NY: Oceanview Publishing First edition, first printing, mint, new/unread in a flawless dust jacket, signed by the author. Each dust jacket is protected in an acid-free archival quality acetate cover. John Reviews Matt Coyle's "Blood Truth"